Works for a research in progress on the evolutions of the built environment in Siwa (Egypt) and the curent phenomena of patrimonialization. See “Environment needs clay!”, Evolutions of the habitat in the oasis of Siwa. See the section of the Picture Gallery on the Siwi architecture. Martinelli, Silvia, 2004 — Siwa, l’oasi bambina. Diario di un’ esperienza di progettazione partecipata in Egitto, Universita’ degli Studi di Roma Tre, Facolta’ di Architettura, Roma, 52 p.
An article for a volume of Journal des Africanistes dedicated to objects and material cultures in the Sahara (editors: Sébastien Boulay & Tatiana Benfoughal). See the published article (in French): Dwelling with the feet of clay, trials and tribulations of construction materials and techniques in Siwa (Egypt). See the published article (in French): From Siwa to Cairo, the making of heritage feeds from the Others’ desire. This article has been read 1404 times. Dernière mise à jour de cette page le Sunday 24 January 2016 à 15:34:54. //// -----> Citer cette page? 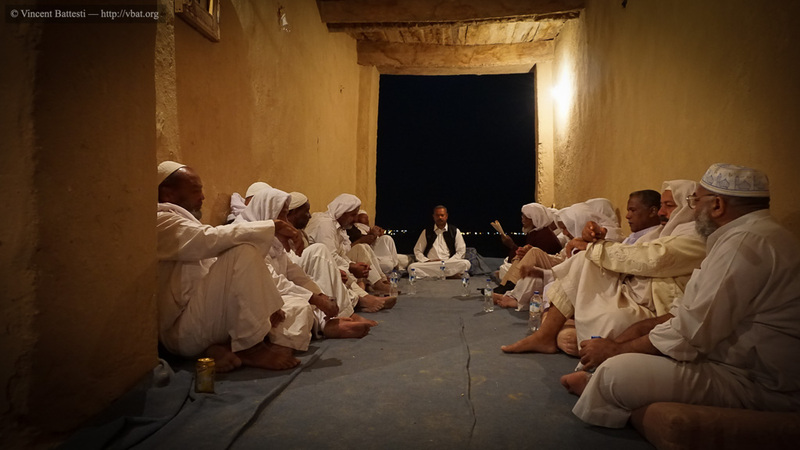 Vincent Battesti, "Patrimonialization in Siwa: the architecture" [en ligne], in vbat.org anthropoasis, page publiée le 19 April 2005 [visitée le 16 April 2019], disponible sur: http://vbat.org/spip.php?article138.